Writers from around the globe wrote stories about Cora, John and the mystery of this marker. Filled with tragedy, humor and unexpected parallels to other places, history inspires fiction. The following is based on the December 13, 2018, prompt: In 99 words (no more, no less) write a story about Cora Kingston. Every day, Cara Kingston walked down from her cabin, passed mine, waved if I was in view, which was often that first year. I was still struggling with heartbreak back then. She’d walk out on the tiny peninsula that slunk into the Salish Sea, stand on its slippery shore, and wait for her lover, Walter. Danni stood up, stretching stiff muscles after hours of sitting on the hardwood floor of Ramona’s bedroom. It was one thing to scour historical records for work, another to snoop through a box stashed under her husband’s grandmother’s bed. But Danni couldn’t pull herself away from the scrapbooks she found. One belonged to Ramona, another to Ramona’s mother, and a third to Cora Kinston Holman. Each documented events, recipes, photos and newspaper clippings. Was Cora Ramona’s maternal grandmother? The name was unfamiliar to Danni. Yet Cora’s scrapbook brimmed with poetry and sketches similar to Ramona’s stories and fairy drawings. Everyone in the family was apathetic to his questions on Cora and John. After many interrogations with the elderly people of the family and the locality, Andrew understood John was one of his forefathers, a spice merchant. Traces of yellowish parchments in the underground garage, during his thirteen-day investigation, presented Andrew insights. His forefather was a spy in disguise, who fell in love with a fellow spy Cora, a poetess for the public. Cora Holman King was named for her great grandmother. Entering into the King family which was splendid in its richness of history sometimes made young Cora pine for more knowledge of her Kingston relatives. There was a story that in the a cemetery near Eagle River her great grandmother had erected a grave marker for a friend named John Yendow. There was no one to ask the how or why this was done. In an old jewelry chest that belonged to the elder Cora, the great granddaughter found a false bottom with a letter. Maybe that held a clue? Yellow and brittle with a fine slant of fading India ink script, Cora Kingston was writing to John Yendow. It was not a love letter. Your family was so kind to help ours when illness struck. We who had been neighbors and had survived so many cold winters. Without your families aide that bitter winter when my whole household was laid with high fevers, you and yours came morning, noon and night to check upon us. I have set aside private funds of my own earnings. I hope to use it someday to remember you. Cora King wasn’t really any closer to finding answers as to how Cora Kingston knew of John Yendow’s death and how much was spent on the marker that was erected in his memory. What had her great grandmother done to earn that money. Why was the memorial just dedicated to John? One could only guess that perhaps as children during that feverish winter, they had made promises that time wouldn’t let them keep. What Cora King could do was visit the white stone monument. Take its photograph and make sure it was kept clean. What more could she do? Cora grabbed the net, hoisted her skirt hem and stepped into the rushing waters of Jacob’s Creek. Like nesting turtle doves, they fussed over their meal and then sat on some rocks to talk about life before cleaning up their mess. “Wanna see some mayflowers?” asked John after hiding the dishes in their usual spot. “Show me!” laughed Cora grabbing John’s hand. The underbrush crackled. Startled, Cora turned. Pointed at them was the barrel of her father’s rifle. Warm and cold weather she recognized by the time it took her laundry to dry, although she could never tell exactly when each item of clothing was dry; it had been pointed out to her that something can be humid but not necessarily wet – (“Never trust linen!”) – so she needed another hand to check what her touch told her, which was the light-hearted excuse for the forthcoming marriage, which is how neighbors and passers-by found out her friend had passed, clothes out in the wind for days on end, at the stretch of new balances, just to be sure. Cora read Papa’s letter again, hoping the words would change, knowing they would not. Her beloved John had succumbed. Typhoid. She pressed the letter to her heart and closed her eyes, remembering the last time they had been together, the day they said goodbye. She was excited. Papa arranged for her to accompany cousin Olivia on her Grand Tour. They would be gone a year and when she returned, she and John would marry. The thought grabbed her heart, squeezing, constricting, making her wish for death. She sat, immobile, cold, her life disintegrating. Papa’s letter fluttered to the floor. It finally arrived. I was scared that it wouldn’t get here in time for your birthday but it came on the train yesterday. Daddy will be angry but there’s nothing he can do about it now. When I saw our names together I fell to my knees. I love you so much. We talked so much about leaving this place. Being together. Going someplace where daddy couldn’t stop us. Then you left me. Alone. But daddy can’t stop us now. In death, we can be connected forever. She was supposed to meet him on the wandering rocks that night. Of the innumerable promises she’d made to John that summer, it was the only one she ever broke. Cora knew he’d kept their secret, because in all the years since he’d disappeared, no one had ever come asking after him. She knelt down as far as her hobbled knees would allow and placed the small bundle in the grass, trying desperately not to think about what was inside. Cora rested her weathered hand on the stone, closed her eyes, and waited patiently for the vibration to start. Cora Kingston and John Yendow were demon hunters, though they hid this from everybody else. For a time they managed to keep Keweenaw Peninsula free of them. One time they visited Cat Harbor and found a portal. They began a ritual to close it. Once it began to close some tentacles shot out. Something was trying to come through. Without thinking John ran straight into the portal. The last thing Cora saw was John being wrapped in tentacles. Then he was gone. Cora had a marker made for John. It was the least she could do considering his sacrifice. When I was a kid, whenever I would stay with him over the summer, grandpa used to take me out for breakfast Saturday morning. While grandma and my sister – Nicole stayed at home and tended to the house chores, we would go out to have “manly” talks. No girls were allowed. The truth was we would drive to Kingston to eat what grandpa normally wasn’t allowed, like crepes loaded with fruits, whipped cream and creamy chocolate hazelnut filling, and drizzled with honey-butter. Cora’s Breakfast & Lunch was our little secret. The Yeandeau Lighthouse was on a rocky promontory, west of the rugged cliffs overlooking Yeandeau Harbor. The deep indigo and turquoise Pacific Ocean waters morphed into the blue summer skies. Cora Timmons was a journalist, and loved to sail along these Pacific waters. The Lighthouse, originally built in the 19th century, was named after Jack Yeandeau, an avid naturalist and explorer of the bays and inlets. Her great-great-aunt, Cora Kingston was grief stricken when Jack disappeared in a ferocious sea squall. She was a talented artist, and later published Jack’s notes, journals, and sketches, including her own seashore paintings. He was a friend of mine. I bought his headstone and put him in the earth. His parents were poor, but I was sure he wouldn’t have had even a wooden marker tied with twine. But how could John’s life be a mistake when I loved him so deeply? Cora looked into his eyes. Her belly warmed and tingled, her heart felt full while her head was clear. She floated on a cloud of love as soft as marshmallow but strong as steel. “There is nothing left. I’m out!” John was adamant. The base of her skull contracted, her jaw tightened, Nausea replaced the warmth. She followed him when he left. He was always in her sights. A phone call , a knock on his new door when he had a guest. A shotgun when it looked serious. Her name on his grave. He’d never be rid of her. Seems that Cora was laid to rest that day at Mountain View Cemetery next to her husband, John Blackwell Holman. The marker miraculously appeared overnight on the unmarked grave of a poor man. No-one in the family, now or then, knew who Cora Kingston was, or what her relationship was with John Yendow, a man with many friends, but no money. He had made his way through life working the land as and where he could. The Kingston Farm was one of the most profitable in the country, but there was no mention of a Cora. Unless it was a subterfuge to hide a relationship between races, beliefs and religion which would have resulted in death for both parties. A shooting star streaked across the night sky. Tears welled as Cora thought of John. Before his death they whispered, “When will they marry?” Maybe John was waiting until he had more to offer; maybe Cora’s parents were against the union. There was much speculation. But John and Cora clearly enjoyed each other’s company. The whispers sometimes became unkind. Cora and John had loved one another. Now she alone knew why they would never have married. “Rest in peace, dearest friend,” Cora whispered to the starlit night. After fleeing Thornfield with only the shabby apparel I arrived in, the coachman set me down at a crossroads in a north-midland shire, dusk with moorland. Skirts snagged by the heather, I sought a place to rest my bones. By God’s grace, I encountered another lonely female, whose kindness in sharing her meagre repast of bread and cheese brought forth my sorry story. A century later, I laugh amidst the waves crashing against the shore. John is immortalized, only because of what I did. The curiosity of researchers is about my story. I wish they would go around a little more, and find the other tombstones I built – in memory of my dearest victims. They made me happy in their lifetime. Cora slumped in the chair, her face buried in her palms. John’s body lay at her feet, his lifeless eyes looking at her. A stream of tears began running down Cora’s face. John did not deserve to die as he did. He was a good man. No, he was the best man and an even better friend. She had taken advantage of him. She should never have let her hunger get the better of her. If only she had controlled a bit more, John would still have had his soul inside him. No, Cora Kingston never lived in Cat Harbor. But it sounds good and what sounds good to a writer with imagination becomes the plaster used when crafting a historical story. Names, dates, events, and places leave gaps. Historical fiction tries to fill them with believable details — colorful but plausible ones. Cora and Cat Harbor are two mysteries that my mind often puzzle. The Keweenaw Peninsula dots the map with names left over from 150 years of copper mining. Yet Cat Harbor is an unusual name not linked to a mine or historic figure. ….when all the trees were logged the curve of land resembed the paw of a feline. …long ago wildcats roamed this inlet. …when the Ralph Budd wrecked on the rocks of this small harbor in 1929, cats from the boat swam to shore. …when the Ralph Budd wrecked, carrying butter and cream, it attracted all the felines in the area for miles. Whatever they say about the name of Cat Harbor, they say less about Cora Kingston. As a writer who researches the lost stories of women, I can tell you this is a common problem. Often the stories of women are not passed down, and names are easily lost through marriage. Passing through Cat Harbor during a wild October storm with my friend and local maritime historian, Barb, we paused to watch the massive waves hit a reef of exposed basalt. The force of the water on rocks sent spray 40 feet into the air like geysers. The waves crashed to shore with such force, they sprayed across the road. It’s easy to imagine the energy of such storms instilling awe in those who first settled this remote region along the shores of Lake Superior. We certainly felt it, standing there, shivering in the cold wind, mesmerized by the force. And that’s when I thought about Cora Kingston. My friend is a cemetery lurker like me. Barb hunts down the final resting spots of former light-keepers and surfman — the men who rescued stranded and wrecked ships. She writes their biographies and gives presentations to honor their service. Maybe she could help me figure out who Cora Kingston was, I thought. Several years ago, on my first visit to the Keweenaw, my daughter took me to the cemetery near Eagle River where white-washed stones stood among ephemeral flowers and chattering squirrels. It was at the beginning of my “wandering time,” and yet I was filled with the passion I have for cemetery stories and wrote about it in the May 18, 2016, prompt. Cora Kingston was the woman I mentioned who left a memorial for her dearest friend. I thought the friend was John Vendow. Turns out I misread the marker (as have others who’ve recorded names from the cemetery). I showed the memorial grave to Barb. She recognized the surname Kingston as one of the “old families” of the area. She later corrected me on John’s name — it’s Yendow. Further research shows he was the son of a French-Canadian carpenter and the surname was originally Gendeau. In 1870, 1880 and 1894 the Gendau/Yendow family lived in Keweenaw County, which is a broad area full of copper mines, harbors, and towns. The 1880 Federal Census revealed that at the age of 13 John Yendow found employment at a stamp mill. Likely that was the one in Gay. Remember the raven graffiti photo I used last week with the challenge? That’s from the remaining smokestack where John Yendow once labored as a teen in the 1880s. The beautiful white marker joining her name with his stands among an ornate wrought-iron fence with an old tin pot that once held planted flowers. It begs so many questions, but the primary one is who was Cora Kingston? John Yendow’s mother, Elizabeth (Nankervis) Yendow was the daughter of a Cornish miner who worked the Cliff Mine. She married Fabien Yendow in October of 1860. John was one of 11 children. By the time the couple celebrated 50 years of marriage, they had six remaining daughters, all married. Thus no trace of the Yendow/Gendeau/Yeandeau name remains. The women slip into other families. And Cora? It seems she married another John — John Blackwell Holman who was three years younger than her and another English immigrant son of a miner. They moved to Seattle, Washington where her second John worked as a mail carrier, and she took in lodgers. The story fades. The questions linger. Did Cora and John Yendow grow up together? Were they sweethearts? If they were going to marry, why weren’t they married by the time they were 25 and 21? How did Cora come up with the money for so elaborate of a gravestone for John? And why leave her name etched with his? When the records can’t tell the story, that’s when we gather around the campfire and make them up. Respond by December 18, 2018. Use the comment section below to share, read and be social. You may leave a link, pingback or story in the comments. If you want to be published in the weekly collection, please use the form. Rules & Guidelines. White-washed buildings gleam beneath a blue sky streaked with high clouds. They’re the kind of clouds that don’t do much more than add brush strokes to a painting. No humidity. No heatwave. No black flies. Sunshine rests comfortably on my head as I carry a box of books and my computer to the western garrison. I’m at Fort Wilkins to give a presentation on how to use flash fiction to explore history. 1844: Fort Wilkins stands to protect the copper. A young nation encroaching further west, the Michigan wilderness known to the fur traders and voyageurs, marks a lucrative spot on territorial maps. From the decks of sea-faring, Great Lakes mariners can trace veins of copper rich ore to the shoreline of the Keweenaw Peninsula. At its tip where land juts into lake like a bent finger, the Pittsburgh & Boston Mining Company stakes its claim. The garrison of soldiers with memories of the War of 1812 forge a fort. Peaceful as a Sunday picnic. No one badgers the copper miners. Mowed summer grass surrounds the fort grounds as it faces a lake — not Lake Superior, but Lake Fannie Hooe. A small gurgling stream flows from the lake, past the fort and mingles with the greater one in a half-moon cove with pinchers of craggy rock at each point. The John Jacob Astor floundered in 1845 after missing the safety of the harbor. Champagne doused her prow on the shores of Sault Sainte Marie – the first tall ship built on Lake Superior. The pride of the American Fur Company, she bore the name of its progenitor. Cutting across heaving waves, she carried cargo and passengers. Eight could squeeze around her dinner table. Fully loaded with winter supplies for Fort Wilkins, she sailed for the harbor. Crashed upon the rocks, every man in the garrison soaked by surf and slashing rain fought to release her. No one died, but with supplies lost to the Great Lake, together they faced a winter of rations. After I set up in the lecture hall, I eagerly head to the harbor. An artist’s rendering superimposes a modern photo of the harbor with the wreck of the John Jacob Astor. It’s part of an interpretive display to explain the shipwreck. The cove seems pleasant, not one that could take down ships, but I’ve seen Superior on high energy days. It’s neither too cool nor too hot. It’s a perfect spring day, a gift in mid-summer. The greater gift is the death of black flies. Those winged beasts fed upon my blood just a week before when I came to Copper Harbor to hike in the old growth cedar grove. This evening, I’m alone, savoring my time on the rocky beach. I settle into a seat of warm pebbles to eat bison jerky made with cranberries and seeds. Almonds and dried apple rings finish the light meal. My energy rises before a presentation, and I eat little. Afterward, I’ll be ravenous! Likely the fish and chips will be closed by then, and I’ll make do with organic fig newtons. For now, I relish the moment of perfection. Life rarely offers such a perfect mingling of nature, anticipation, tasty fare, sunny skies, warm pebbles and lapping water. I watch the Isle Royale Queen approach the harbor and promise myself that one day I will have a writer’s retreat on the island. It’s a bucket list kind of place — so remote in Lake Superior, it takes six hours to reach. Wolves sheltered on the dock in crates. Daddy’s expression never changed but I could feel his tension. He didn’t want wolves on his island. This was our third summer on Isle Royale since Daddy became National Park Superintendent. Mother said some zoo in Cleveland wanted to purge its wolves, but they were too used to people to set loose on the lower 48. So, they shipped them to Daddy by boat in crates. That summer, shadows followed me and my sister, but never materialized where we walked or played. If wolves knew of people, they knew to stay away. Recently I collected the oral histories of two sisters who lived in Ripley but summered on Isle Royale where their father had served as the National Park’s second superintendent. It was happenstance that I met the women. In flood-torn Ripley, of all places. They described their childhood to me, living next door to Cynthia’s house and attending school at what is now an apartment complex next to the fire hall. 99-words is catching on in the Keweenaw. I love its artistry, the form’s ability to distill a story in surprising ways. I love how it births creative moments, solving problems with a constraint. I love how it can be a tool. To the entrepreneur, 99 words are 45 seconds. One 99-word story can express a vision. Eight can launch a compelling pitch. To the historian, 99 words can digest historical facts, fictionalize the gaps and imagine times past. Fiction lets us question history, to dig deeper than the facts and records. Writing historical fiction is all about asking what if…and why…and how…and who would… We might know when, but we want to know so much more. In my own historical research, I find that these questions drive me to examine the records more closely. I learn about the mystery of Lake Fannie Hooe. A friend from my veteran spouses group grew up not far from Copper Harbor, spending her summers exploring old mines and logging camps the way I did in my hometown. She told me that legend has it, Fannie was a little girl, perhaps the daughter of an officer, who went missing. As they circled the lake they called, “Fannie…! Fannie, hooe! They say, they never found her body. As a story-catcher, I have an affinity for “they say” stories. Usually, they are not accurate historically, but they contain a nugget of humanity. “They say” stories express our fears or need to be entertained. I find “they say” stories fun to research. When I lived in Idaho, I wrote a column for a magazine that explored local history beginning with they say. From there, I tried to match the story to historical records. Questions help discovery. The night of my presentation, I had planned for attendees to write their own Fort Wilkins flash fiction. I forgot that writing can be intimidating to non-writers. I tried to convince a wide-eyed crowd that they could pencil their own historical fiction. Realizing their trepidation, I led the questioning and did the writing from their responses. The one prompt they all wanted to explore was, “Who was Fannie Hooe and why did she go missing?” Two historians from the fort sat in on the presentation and knew a great deal about the real Fannie. She was from Virginia and came as a single woman to Fort Wilkins to help her pregnant sister. She was not a girl, but a young lady. They say she went missing, mauled by a bear or murdered by a spurned lover. Truth is, she returned to Virginia, married and lived a long life. 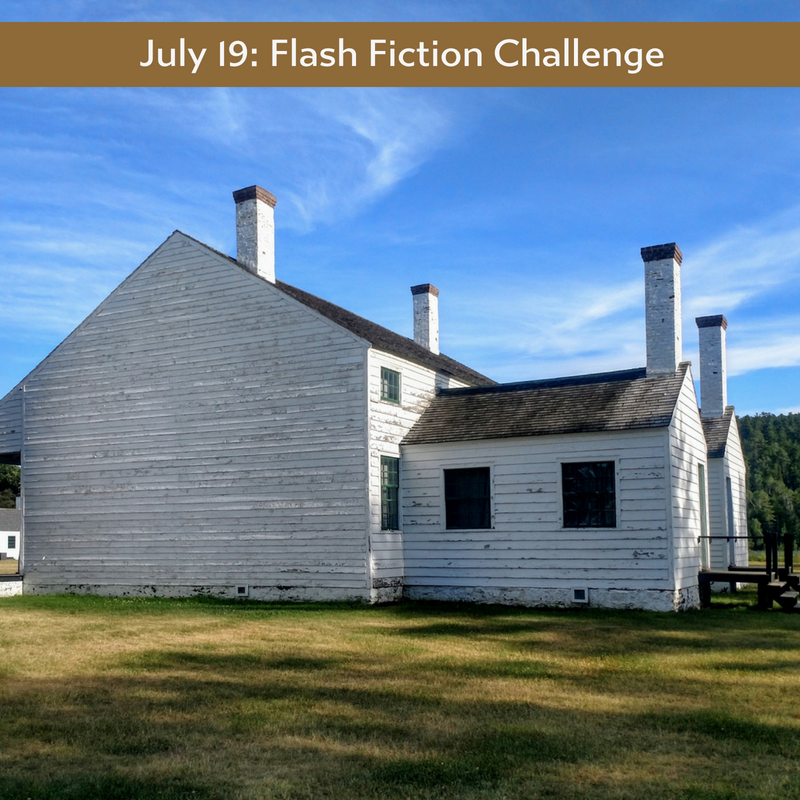 Flash fiction remains my favorite tool to explore history. It allows me to write quickly from multiple perspectives and test different points of view for my characters. 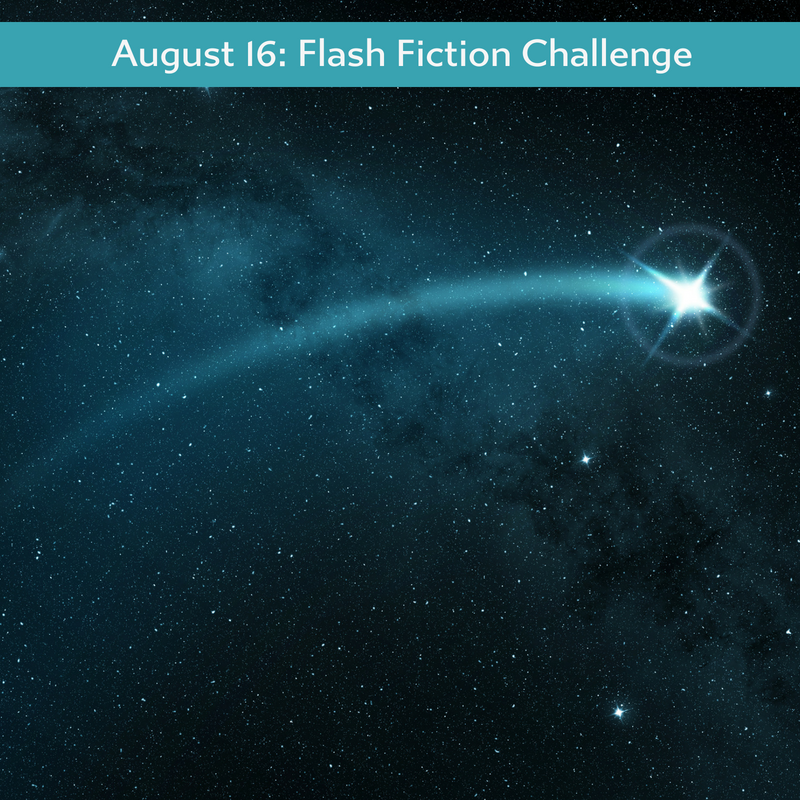 If I don’t like a POV or discover a different path for a character, I’ve only committed a batch of flash fiction to the discovery instead of having to overhaul chapters or revise an entire draft. Flash fiction lets me push into the space between the gaps. It lets me crawl under the skin of those the record shows were there. It tolerates my line of questioning with 99-word answers. July 19, 2018, prompt: In 99 words (no more, no less) write a story about Fannie Hooe. Although she is a legend in the Kewenaw, feel free to go where the prompt leads. Respond by July 24, 2018. Use the comment section below to share, read and be social. You may leave a link, pingback or story in the comments. Grandma Sarah rocked with restraint as we drank mint water over chipped ice, a luxury in 1870s Virginia, especially after the War. Grandpa Hooe was a Union officer, commissioned in the wilds of Michigan. Grandma told stories about how they met at Fort Wilkins the year she stayed with her sister. She told me how her nickname was the same as mine – Fannie. All the men from the garrison courted her, but she left the wilds with Grandpa as Fannie Hooe. 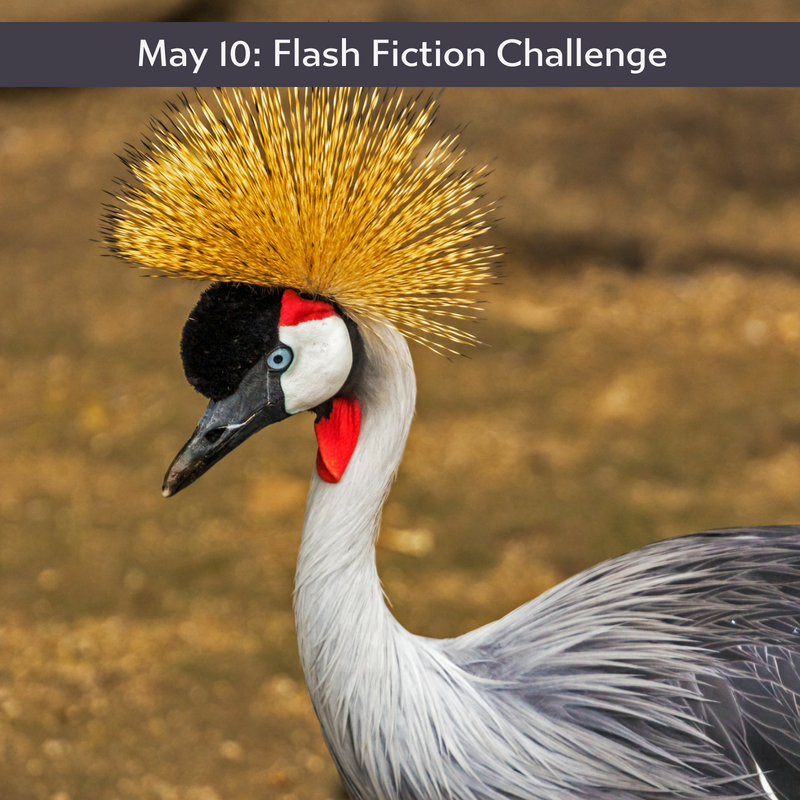 Essay and flash fiction by Sharon R. Hill, guest writer to Carrot Ranch. Death Calls Dr. Whitaker was inspired by the title of a nineteenth-century death notice about an ancestor of mine. The title struck me as unique and I knew that it would make a great title for a short story. I initially did nothing with my idea nor did I know where to begin in framing the story. History is important to me and is a dominant theme in my literary short fiction. It is a blessing to have such a rich variety of characters in family lore to draw from. For instance, my grandfather, a man I never knew, was a con-artist whose actions were countered by my salt-of-the-earth grandmother who kept the family out of poverty and made certain her children received an outstanding education. This backdrop was the basis for my story Life in Silhouette which was a difficult story to write but also cathartic. I found a means to understand and forgive by writing fiction-based-on-fact about emotional pain and physical hardship. I have recognized that I am great at historical research but poor with organization. In recognizing this, I am transitioning to an informal outline and character sketches because I desire to become a better and more productive writer. My bellwether moment about changing my writing process came when I was trying fix a short story that I’d been working on for some time. My writing mentor explained to me that I hadn’t connected with my protagonist nor revealed his motivation. My third draft of the story also had the same foundational problem so I decided to move on and circle back to it later. Death Calls Dr. Whitaker came to mind and I decided that I would create my first flash fiction. As I began to write, the story evolved as a first-person narrative with the deathbed scene as the catalyst for the experience. Also in the back of my mind was a desire to channel Virginia Woolf because I had recently read her essay The Death of the Moth and I wondered whether I could replicate the essence of this work. Death lingers in the bedroom where old Doctor Whitaker sleeps. It infuses the air with dread in a way that only the presence of death can. I think about opening the only window in the room that faces west with a view of the sunset. Like a child, I imagine that this will expel the threat. Tick-tock, tick-tock, tick-tock sounds the generations-old grandfather clock, the metered sound is reminiscent of tiny heartbeats. The chimes repeat six times to announce the hour, reminding the living of a bygone day. Doctor Whitaker is held hostage in a difficult slumber and his eyelids quiver in some erratic timpani, yet they remain shut. I sit by his bed in a stubby, wing-back chair of pale-blue velvet fabric with faded wood armrests. The stiffness of the chair aids me in my duty to stay alert, as I watch for the moment that will complete the outline of a life. With his wife long dead and the marriage childless, the responsibility of this days’ vigil has fallen to me though I barely know Dr. Whitaker. I accepted this burden because of my fondness for his housekeeper Sally who is expected at her family home today for her parent’s anniversary celebration. I notice a worn-out leather medical bag tucked in the open square of a simple, dark-oak nightstand. A wall calendar from a Memphis mercantile with a worldwide timetable hangs above to announce the month of May in 1935. In a daydream, I envision Dr. Whitaker as a younger man jogging along an old roadway of dust in his shay offering comfort to the sick. Yet he spends what may be his final hours with a mere acquaintance, even a stranger. I wonder at the absence of visitors, including the children he helped birth and who will now be middle-aged with their own families. I feel anxious when a pair of whippoorwills’ land on the garden fence as instinct compels their predictive chant. A trembling left-hand begins an echo in each limb and Dr. Whitaker’s mouth begins to twitch. The thin blanket that covers him from below his neck and is tucked over his feet has shaken loose. Dr. Whitaker’s face has an anguished expression as though he is in the throes of a struggle with an unseen foe. I understand that the foe he struggles with is time, as his strength of spirit continues the fight for life. Sharon R. Hill moved from Tampa, Florida to Nashville, Tennessee ten years ago. She is a writer of literary fiction and has been published in The Wilderness House Literary Review, Indiana Voice Journal, TWJ Magazine, and The Bangalore Review. Her story Brown Tobe won TWJ Magazine Best of 2016 for fiction. Sharon enjoys using an historical backdrop to explore moral themes and the complexities of the family dynamic.